JPHPI publishes articles three times a year within the scope of biochemical aspects of fisheries, biotechnology of fisheries, food processing, characteristics of raw materials, and quality of aquatic products. JPHPI is accredited by the Directorate General of Research Strengthening and Development under the Decree Number 12/M/Kp/II/2015. 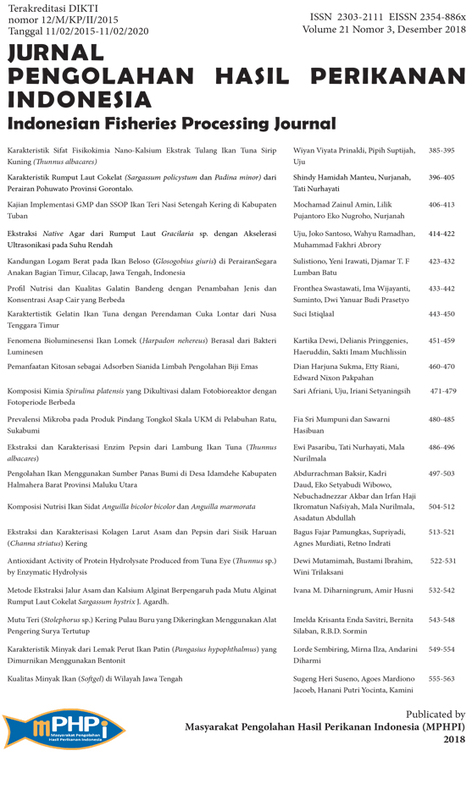 JPHPI has been indexed in DOAJ, Science and Technology Index (SINTA), Indonesian Publication Index (IPI), Google Scholar, ASEAN Citation Index, Index Copernicus and other scientific databases.